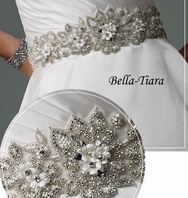 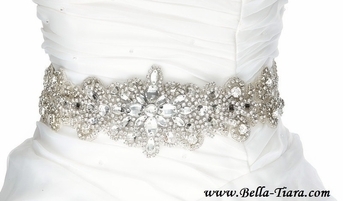 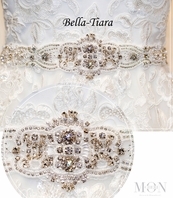 Description: A stunning glamorous new design for your big day. 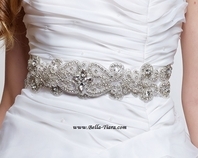 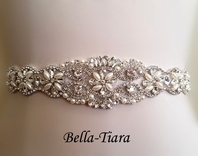 The rhinestone designs spams about 26" long wrap infront and or side of your waist . 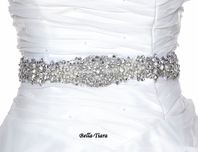 There is 3 yards long ribbon sewn underneath, you can tie a bow in the back.